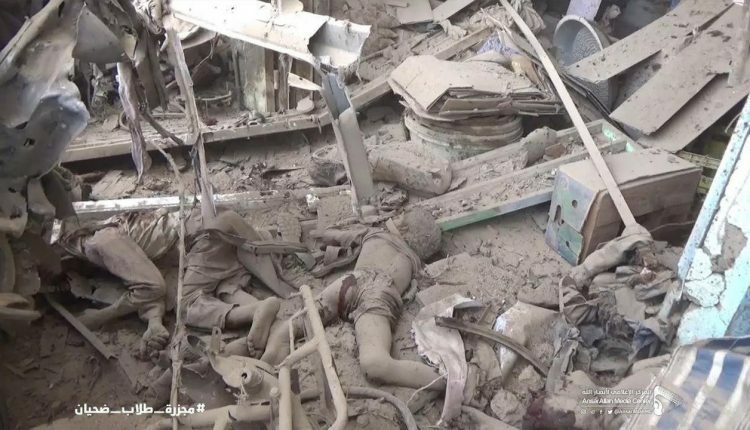 SANAA, Aug. 10 (YPA) – The Attorney General, Judge Majid al-Darbabi, on Friday directed the Public Prosecution to take legal action on the crime committed by the Saudi-led coalition warplanes by targeting a bus carrying students in Dhahyan market in Saada province. A judicial source said that the prosecution services have started their legal procedures in the scene of the crime in coordination with the Ministry of Interior and the competent authorities. He called on humanitarian and human rights organizations to visit the crime scene to see the facts. On Thursday, an airstrike of the coalition aircraft hit a school bus carrying students in central of Dhahyan market in Saada, killing more than 51 civilians, including 40 children, and injuring 79, including 56 children, in addition to a number of unidentified dead and missing. #Breaking: #JIZAN – Rocketry force of the army shells Saudi military targets.